Snack recipes with a secret that the kids will freak over! There is no more perfect thing to do with a box of Golden Grahams than to make a s’mores treat, like the outrageous S’mores Bars recipe that we found at Gimme Some Oven. 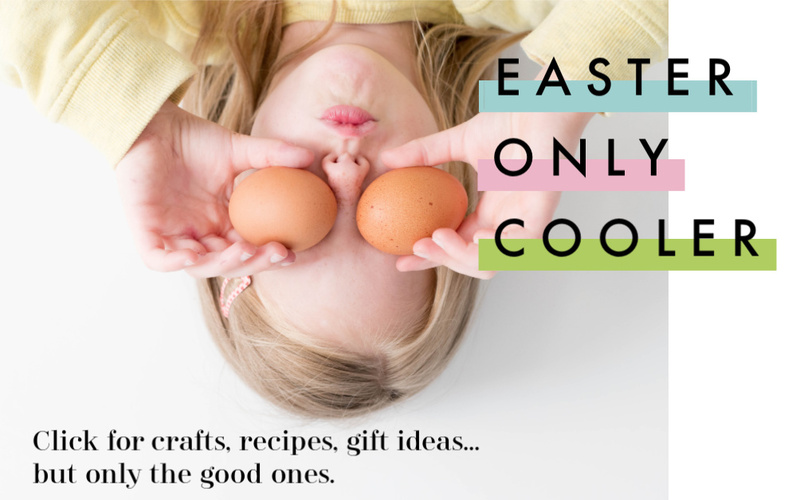 They may be a little over the top for everyday snacking, but for birthday parties, a rainy weekend when you need a fun kitchen project, or a small celebration at home, they look magical. General Mills has taken the major step hearing the concerns of parents, and removing artificial flavors and colors that come from artificial sources from so many of their cereals, that now a full 75% of their cereals are made completely without them including Fruity Cheerios, Trix, and even Reese’s Puffs which are now made with natural flavors like vanilla. They’re aiming for 100% over the next couple of years. And P.S. : They’ve also been reducing sugar in their cereals, too. So yes, traditional kid-favorite cereals will look different than they did before. But will kids complain? No way. 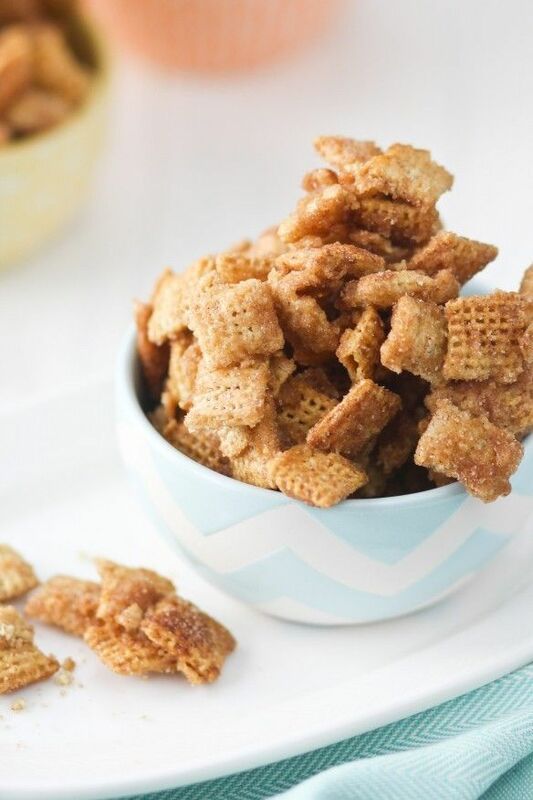 I’ve seen my share of Chex Mix snacks before, but there is no way that I could pass up this Caramel Churro Chex Mix at Confessions of a Cookbook Queen. Holy deliciousness. And pardon me if I throw some Cinnamon Toast Crunch in there, too. Speaking of Cinnamon Toast Crunch, if you love it as much as I do and are looking for a special treat, then maybe, just maybe, you’ll want to make this Cinnamon Toast Milk Ice Cream at The Candid Appetite, because…oh my goodness. 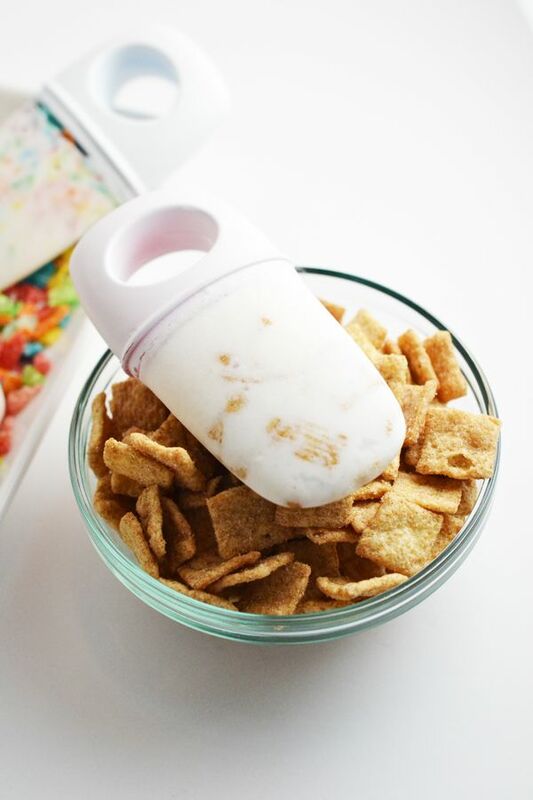 For another warm weather treat, check out the Cereal Milk Popsicles by Natalie Paramore. 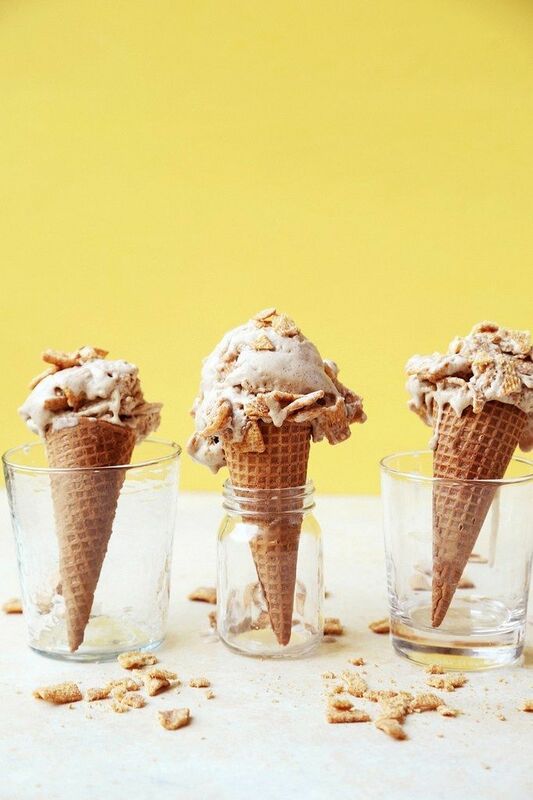 They manage to feel like an extra special treat but without being totally over the top, thanks to the combination of almond milk and coconut milk ice cream. Keep in mind that you can make them using any milk or ice cream that you want. For an everyday snack, you could even eliminate the ice cream entirely and just have a more wholesome delicious popsicle kids will love. Snacks aren’t just for snack time, so I love finding the Fruity Breakfast Cookies at Hip Foodie Mom. 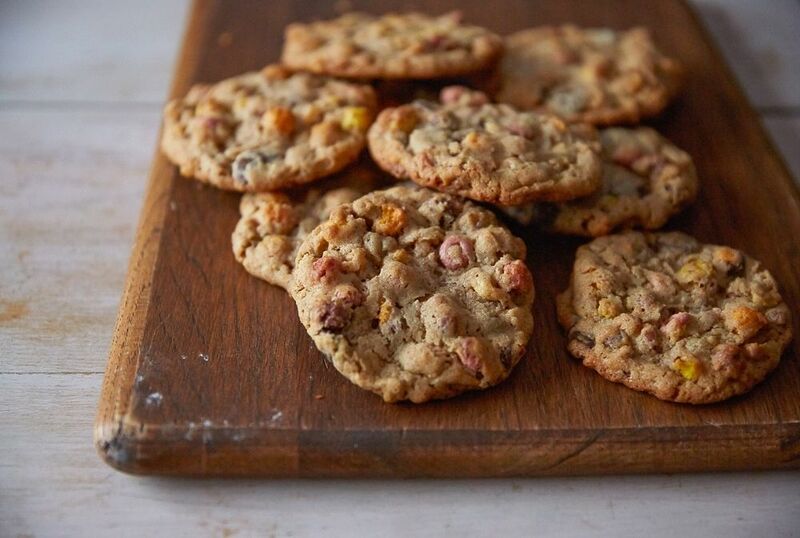 While they’re fun and super tasty, they’re also packed with cashew butter and oats for the kind of nutritional boost that you don’t normally see in a cookie. 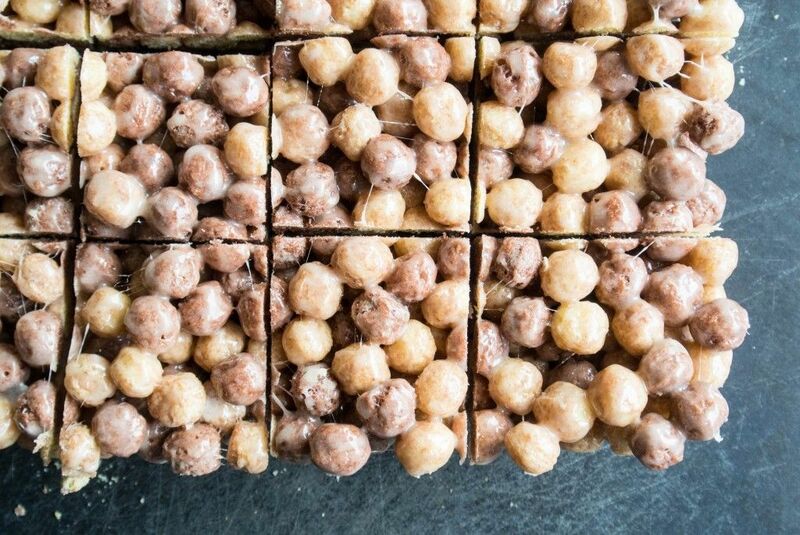 Ready for a new twist on the old marshmallow cereal bar classic? Check out the Reese’s Puffs Treats at My Utensil Crock. What else needs to be said? 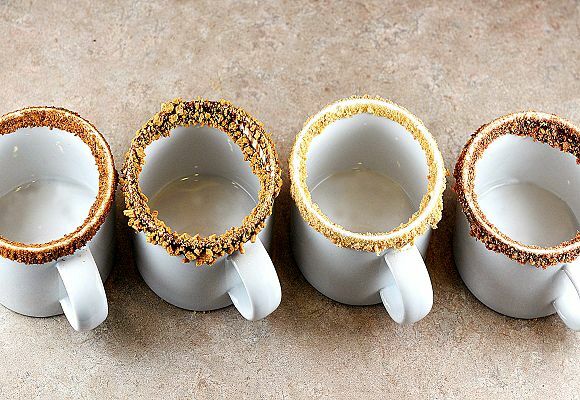 Just for fun on chilly days, I wanted to throw in this clever idea I found for a Crushed Cereal Hot Chocolate Cup Rim at Tablespoon. Because why should cocktails get all the fancy sugared-rim treatment? It’s a truly easy way to turn regular hot chocolate into Cinnamon Roll Hot Chocolate, or S’mores Hot Chocolate thanks to her tutorial. 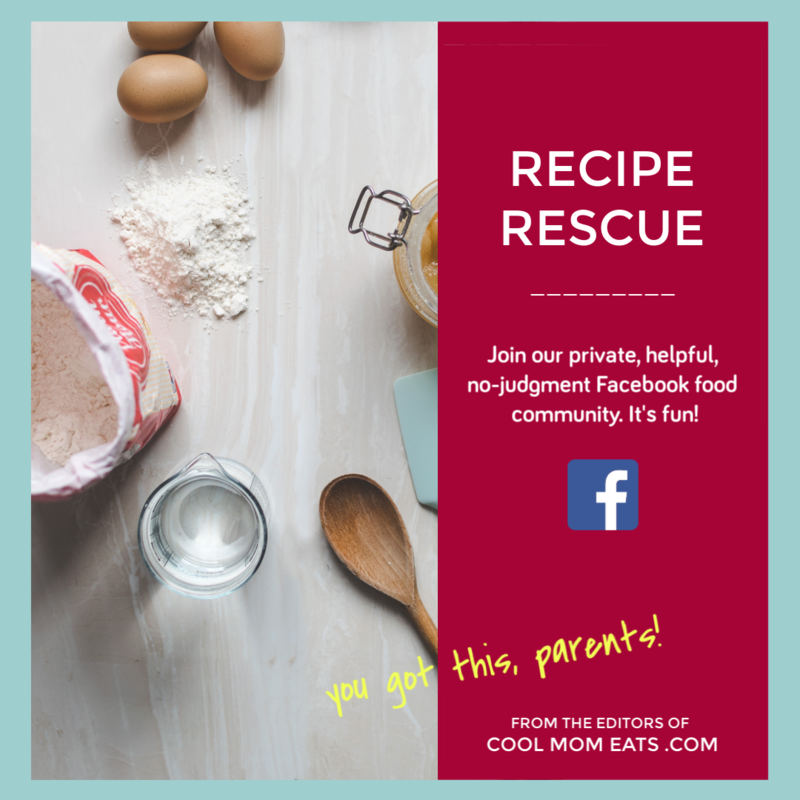 Just serve with a slice of toast topped with almond butter, or maybe some and banana chips and fresh fruit for special playdate snack my kids will adore. 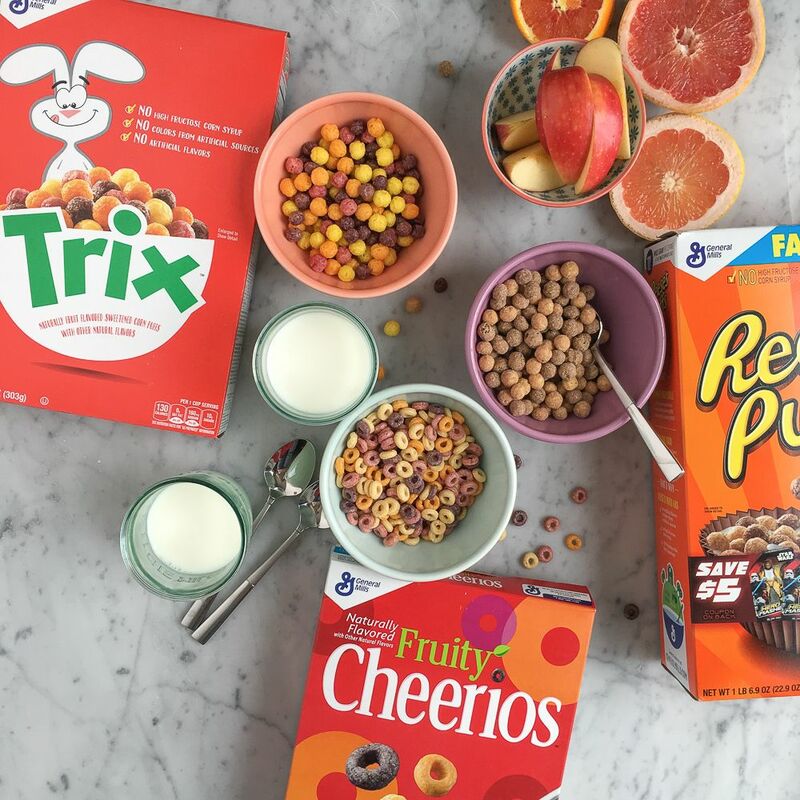 Celebrate this awesome change by General Mills to color our favorite foods using natural ingredients by grabbing a box, making a snack, and tagging @generalmillscereal on Instagram. This post is brought to you buy General Mills, giving us more reasons to love cereal again. 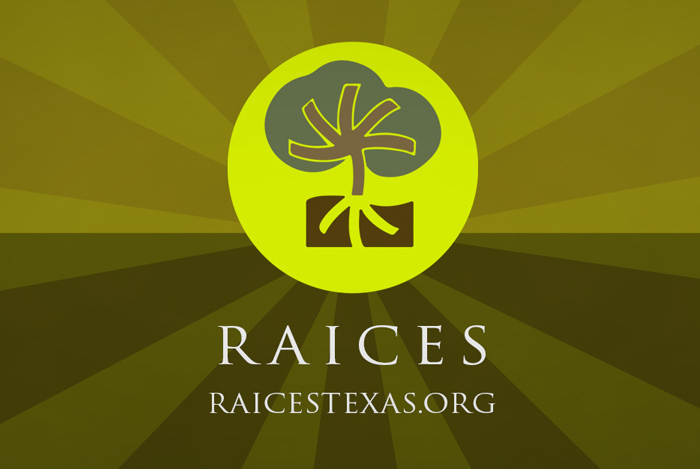 Thanks for listening to parents, and making changes that matter to a lot of families. Loved your snack recipes. 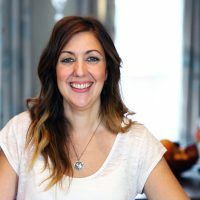 Please check it out my YouTube channel for Brazilian food recipes, I share easy recipe, mostly are snacks and appetizers, great for kids and entertainment. All of this looks so yummy! Thanks for all of the great ideas. These are too cute, I love these snack recipes! Great for kids!